It seems that GBPUSD is going to stay volatile due to some economic reports such as second estimate GDP data from the UK and the unemployment claims data from the US. 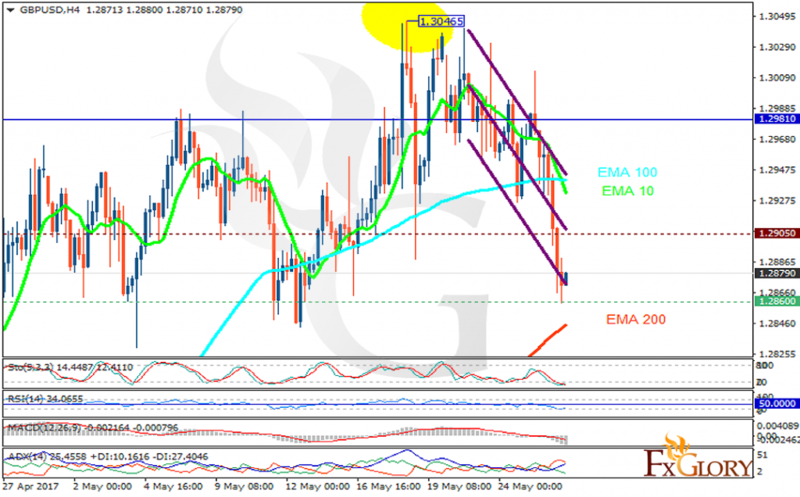 The support rests at 1.28600 with resistance at 1.29050 which both lines are below the weekly pivot point at 1.29810. The EMA of 10 is moving with bearish bias along the descendant channel and it is above the EMA of 200 and below the EMA of 100. The RSI is rising towards the 50 level, the Stochastic is moving in low ranges and MACD indicator is in negative territory. The ADX is showing sell signals. The support area is too strong to be broken therefore buyers can target 1.3030.